I’ve been operating a blog, Warfare in the Book of Mormon for the better part of a decade now. The most fruitful approach I’ve taken over the last several years is to read the text a bit more critically. This is only a blog so I won’t get into the methodological weeds, but I think the good guys aren’t as good as we think, and the bad guys aren’t’ always as bad. There is a FAIR conference talk about ten years ago that talked about not having a testimony of the history of the church. This means that while the gospel is true, the history of the church is complicated, nuanced, grey, and not nearly as black and white as many members assume. As I’ve taken this same approach to the Book of Mormon and tried to examine how the Nephites might not have been as noble and pure as the narrative implies, I’ve noticed that the Nephite record keepers are great magicians. As Grant Hardy intimated in his book, Understanding the Book of Mormon, sometimes the text omits key material, or includes other material that essentially distracts from uncomfortable implications. He points out Nephi’s return with the brass plates. The narrative skips over’s Lehi’s reaction to instead include a rather rare example of a women speaking and complaining in the text. (1 Nephi 5:1-9) Hardy’s analysis uses that unusual inclusion plus the resulting peace offering to suggest that Lehi didn’t approve of Nephi slaying Laban. The Nephite record keepers use emotionally based language such as this to make the reader see what they want you to see, and ignore the context, implications, and unintended consequences detailed within the text. This post briefly (as possible) looks at three examples that illustrate these magic tricks. The burning of Sanjo Palace in Medieval Japan. I like this picture because the Samurai are often viewed as these noble Knight like individuals and even became the basis for the Jedi. But in this battle they burned the palace, and then killed all of the survivors as they fled. You can see a decapitation in the center of the picture. Historical reality is different than the often idealized views of the past. The first example might sound a bit familiar. Last time I posted a dramatized account of Moroni’s army sweeping out the Lamanites in Alma 50:9. They likely didn’t issue a 30 day eviction notice and do so with a regard for Lamanite civil liberties. In fact, while it’s not recorded in the text I bet they used many of their ethnocentric descriptions of Lamanites to justify their action (see the next section). The Lamanites are dark, loathsome, bloodthirsty, and wild people while the Nephites will bring the light of Christ and civilization to the region. In fact, the magic trick then becomes the very long discussion of how happy and secure this made the Nephites. Instead of considering how the Nephites may not have been Christlike to their neighbors, how they exercised naked power against their ethnic rivals, and how those refugees likely enhanced Amalickiah’s arguments about Nephite perfidy the chapter discusses how secure they were. Verse 12 discussed “the assurance of protection” offered by new lands, and waxed eloquent about how happy and blessed the people were until finally in v 23. the text says that there “was never a happier time” among the people. Yet, just a few verses later, in the same chapter, Morianton does the same thing as Moroni and is defeated by Moroni (v.26-36)! Instead of receiving praise, Morianton’s people taking up arms is presented in stark and dangerous terms. There was a “warm contention,” and Moroni was afraid the people of Bountiful would side with Morianton in the dispute (Alma 50:32.) But instead of concentrating how the people of Lehi likely presented a one sided account of the conflict, and how naturally fearful anybody would be of Moroni, the text instead becomes a morality tale as Morianton beat one his servants. Morianton didn’t immediately chase his servant which suggests the possibility that she often ran away and then came back. But this time she went to Moroni who then found significant moral authority to deal with Morianton. This moral authority was needed because Morianton was simply doing the same thing that Moroni did a few verses earlier. But Morianton had the negatives of possible being an ethnic minority (because of the Jaredite root ending in his name), driving out Nephite settlers instead of Lamanites, and having the survivors flee to Moroni’s camp. This is the second magic trick in this story. In addition to ignoring the consequences of preemptive action seizing land and creating refugees, Morianton couldn’t do the same thing because he was morally corrupt and seditious. From a spiritual standpoint this is a great story, but conversion also results in societal changes as well. I discuss the historical incidents using examples from European history where I describe how conversion is crown deep. There are numerous benefits that range from added political power, top down government control, additional tools of statecraft, diplomatic benefits that include being part of the Christian club of nations. The conversion of Lithuania is a good case study for seeing all of these trends but for brevity I will focus on the diplomatic benefits. In Helaman 6:20 the Lamanites are praised for using “every means” to “destroy” the Gadianton Robbers, which might be the only time in the scriptures their martial activities are praised. When the Lamanites are not part of the club they are described a wild, ferocious, bloodthirsty, barbarous, cruel, hardened and a plundering people (Enos 1:20, Mosiah 10:12 Alma 17:14 Alma 48:24). These are typical ethnic stereotypes of the other, but amazingly they disappeared when the Lamanites convert and fought the Gadianton Robbers. When the Lamanite Christians later became Nephites in order to fight the robbers in 3rd Nephi 2:12-16 their kids also became white! Fighting satanic pagans under the banner of Christ gets you a good amount of praise from the recording historian (Mormon) as those fighters suddenly become part of the club. This piece of magic is consistent with historical practice and particularly prominent when the historian has a religious background. Wicked Chief Judge- Worst thing ever or minor inconvenience? The final example comes from involves the Chief Judge. In Alma 46 changing a few laws is presented as a grave threat to liberty and resulted in rather passionate prayer, prophecy (and militarization) by Moroni. The Title of Liberty is praised in the most heroic terms. Nonviolent advocates like Jana Reiss and Joshua Madsen have called him a military “stud muffin” and “action hero”. His words helped me get through Marine Corps boot camp and many uncomfortable nights in the field, (at the risk of confirming stereotypes) during my mission in Texas I went to military compounds that quoted and framed the Title of Liberty on their gate, and the Frieberg painting was prominently displayed in my step dad’s office when he was company commander of the 82nd Airborne. This action was seen as a valiant defense of liberty but the magical description of the powerful Moroni obscures unintended consequences and contrasts with Helaman 6:39 and the trial of where Nephites lost control of the government with little more than a shrug and a whimper. Just like the refugees created in Alma 50, after the Title of Libety the fleeing men of Amalickiah likely had much more ammunition to spin a tale in front of the Lamanites. He likely didn’t have to exaggerate much to imply that Moroni was an aggressive and dangerous leader. Nothing says freedom for example like forcing people to support it at sword point (Alma 46:36). Historically failed revolts lands resulted in confiscated lands that were then distributed. Considering the high cost of equipping Nephites with new game changing armor, I wonder if lands were taken or very least a heavy tax levied to support this move. Not only were Kingmen forced to support liberty at sword point, but they likely had to literally pay for it too. This seems like a good case of blowback if there ever was one, and it happened without anybody noticing because we get such warm fuzzies reading about the Title of Liberty. Moreover, when the Gadianton Robbers did obtain “sole management” of the government in Helaman 6:39, they were described in the worst terms. Mormon claims the Robbers did “no justice” in the land. They punished the poor because they were poor and allowed the rich to go free so they could go on whore mongering and killing (Helaman 7:4-5). Yet, one of the few detailed examples of their justice we have is actually fairly evenhanded. After Nephi prophesied of the murder of another chief judge he was arrested as part of the conspiracy. They managed to arrest Nephi, an extremely vocal critic of the government, conduct an investigation, and then release him without any indication from the record that he was mistreated. Nephi didn’t have his lands seized (like the Nephites did to the Lamanites in Alma 50 or possibly the Kingmen in Alma 46), as Nephi apparently maintained his residence in the capital city. Nephi wasn’t indefinitely detained before finally being executed like the Nephites did to their vocal critics during the great war (Alma 51:19; Alma 62:9). Despite being a vociferous critic of an evil government that he says is inspired by Satan, Nephi received a fair amount of what we would call due process. Of course, Nephi’s son did have an execution date set. And as a leader of a major or dominant religion, Nephi may have been too big to jail. Yet this example is still illustrative of how losing control of the government wasn’t the world ending result, especially when we might infer even worse about the supposedly righteous rule of Nephites. Nephite leaders preemptively seized a perceived threat against the government in Helaman 1, where the person’s sole crime seemed to be just thinking about flattering the people. That could have seemed like a decent reaction based on the chaos caused by other dissenters. But even King Mosiah had to plead to the people that they had no right to “destroy” his son Aaron should he reassert his right to the throne and spark a civil war (Mosiah 29:8), so it seems like a pretty common response that even applied to repentant missionaries. Reading John Welch’s, Legal Cases in the Book of Mormon, shows us that Alma the Younger had to be very creative in his sentence and execution of Nehor, which still inflamed sectarian conflict. There are many more examples we could infer about the injustice of the Nephites. Daniel Belnap for example, wrote a very good article detailing the strife and “stumbling block” that unrighteous and unjust actions of Nephites caused in the 18th year of the reign of the judges. Helaman’s servant stabbed an assassin after nighttime spying (Helaman 2:6), and Nephi exposed another killer in Helaman 9:6. Lawyers and leaders within the Nephite nation were known to beat confessions out of criminals (Alma 14:17-22), and both Lamanites and Nephties attempted to poison each other with wine (Alma 55:13). Of course the beatings to get confessions were committed by unrighteous figures from the wicked city of Ammonihah. Though its important to note that no beatings were recorded during the period the robbers had “sole management” of the government. The Nephites even tested the wine on their prisoners first (Alma 55: 31-32)! Jailing the prophet for a bit in connection to a murder that he just predicated, hardly seems like the government of Satan, and seems comparatively better than some of the actions by righteous figures. Yet again, few readers notice because the Title of Liberty and preaching and prophecy of Nephi distract from that comparison and contrast. The Book of Mormon is a complex book. Suggesting that the Nephites are unrighteous might be upsetting to some people. After I gave presented at the FAIR conference I got some strong rebukes by people quoting scripture suggesting that I was completely wrong in my reading. This analysis is admittedly speculative, but it’s no less so than the Heartland kooks that probably dominate your Sunday School. This approach gives us the benefit of treating Mormon as a real person and historian with tension between the spiritual and history in his book. As Michael Austin said the last time this controversy arose, many members insist the book is historical, but then read the text as though it’s a bad novel or propaganda. If the Nephites were real people then they were self-interested just like everybody else in history, and particularly the children of Israel. As a result their record keeping shows the same techniques used by other ancient historians. They liked power and prosperity, and they wrote their history the same way others did. So their culture was seen as better, the “others” were seen as wicked, losing power to wicked individuals was the worst, and making smart moves to consolidate their power was wise. The Nephites were not cardboard cut outs, but acted like people throughout history, moving through a fallen and difficult world the best they can. Thanks for reading. I work as a freelance writer. If you found value in this piece please consider donating using one of the pay pal buttons at the bottom of the page. Alma 43:19-21 suggest the armor was enough to scare away the Lamanites, and they blame their defeat on it 44:9). We don’t know the exact material. Large metal was not feasible in Mesoamerica at this time, and the Limhites brought back a large piece of armor because apparently it was rare. But it was heavier and enough to tip the balance of power. John Welch, Legal Cases in the Book of Mormon (Provo: Maxwell Institute, 2008), The Trial of Nehor. Chinese behavior in the South China Sea is viewed by many as implacably aggressive. China contends it is consistently defensive and even pacifistic. To cut through the rhetoric we can look at the combination of geography and history in the past 150 years to explain Chinese behavior. As Stratfor has noted, China has core geographic imperatives. Western powers (and Japan after adopting Western weapons and attitudes) penetrated these core territories during a long period of weakness that lasted from about 1840 to 1950. As a result, since 1950 Chinese leaders have fought offensive and often preemptive wars with each one of their neighbors, but they’ve been able to claim these are defensive measures. A careful look at the history suggests there is some merit to Chinese positions, but most often they are used as rhetoric to justify aggression. The geographic regions of most concern to China consist of its core Han territories between the Yellow and Yangtze rivers, its tributary states such as the Muslim Republics in the West, and the littorals and oceanic avenues of approach to Chinese territory. Hereafter they will simply be referred to as key territories. For much of Chinese history these territories have been the route of invaders ranging from Mongolian invaders from the North West in the 13th century to the wokou (literally translated as dwarf pirates) along the South Eastern coast in the 16th. Chinese diplomacy was also predicated on their being the center of diplomacy, after all, they are the Middle Kingdom, with many tributaries and neighboring nations acting as figurative sons or brothers to their Chinese father. 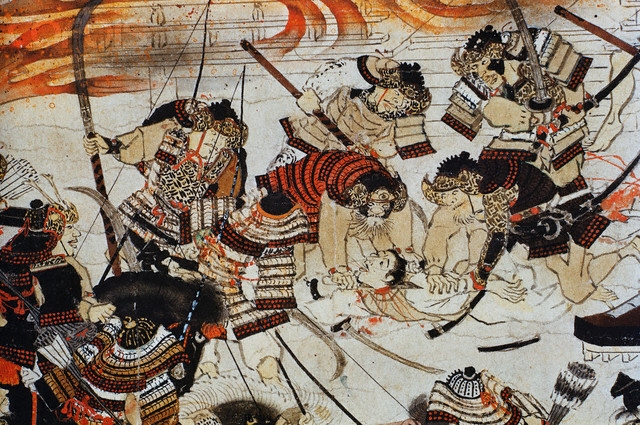 For example, Hideyoshi’s 1592 invasion of Korea was explicitly announced as a prelude to assaulting China and changing the East Asian world order. My forthcoming book, Decisive Battles in Chinese History, describes what happened to China when those key regions were penetrated starting with the Opium War (1839-1842). British warships with shallow drafts often bypassed key positions and easily out fought the apathetic ethnic Han troops who did not wish to fight on the behalf of the foreign rulers of the Manchu Dynasty. The resulting treaty overturned the nature of Chinese diplomacy, forcibly opened many Chinese cities and penetrated on of their key geographic areas.Chinese victories for the next half century after the Opium War showed evidence of their adaptability, inherent strength, and desire to defend their territories. Chinese armies armed with Western-style rifles and diplomatic tactics recovered and even expanded further into central Asia. They fought a brief war and resolved the conflict with Russia over the pivotal Ili valley and province. They subdued the Taiping rebellion that engulfed most of China during roughly the same period as the American Civil War, and defeated Muslim-led revolts in the remote Southwest of Chinese territory. This period proved that an active and capable leader could still secure and recover territory, as well as make modest improvements in adopting Western arms in the face of resistance from traditionalists and cultural elites. Compared to the collapse of the Song and Ming dynasties (in the 12th and 17th centuries respectively), the Qing government performed well against stronger threats in creating peace and prosperity. With the exception of trade cities opened by the British in key Chinese territory, the Chinese were able to respond to land-based threats and internal rebellions in their core territories and their tributary states, but the European naval threats to areas that were nominally under their control were a different story. The Chinese fought and lost two wars against the British, which prompted military reforms and they lost two more pivotal wars in the latter decades of the century that showed their efforts at modernizing were stumbling and inadequate. The first of these was against the French in 1883-1885 for control of territory we now know as Vietnam, and which was a frequent tributary in China’s long history and hence one of their key territories. The failures of this war were stark, but not complete. They mostly revealed that the efforts at military reform were led by various local leaders in an inconsistent fashion hampered by factional politics. The uneven reform resulted in modern ships and armies that lacked standardized equipment, spare parts, common training, and adequate leadership. This was a common theme until the end of World War II, as China at various points in this period obtained Soviet, German, Japanese, American, German, British, and French advisers and equipment. Assuming they did have working equipment, good doctrine and rigorous training they faced factional infighting between various governors and regional leaders. Once the conflict with France began for example, the key reform leader Li Hongzhang, a skilled veteran of the Taiping and Muslim rebellions, would not allow his Northern Chinese fleet to move south. He jealously procured and guarded the very best ships (ironically French built), not wanting to risk them. Unlike the Opium War though, the Chinese performance was not such a clear cut failure. China scored several clear victories over French infantry in Northern Vietnam, and only lost control of a small amount of territory on the periphery that became the French colony of Vietnam. It was the second of these two conflicts, the Japanese war in 1894-1895, however, that clearly revealed Chinese weakness and signaled an era of Western (and Japanese) predations. The conduct of China’s army and sea forces were a complete embarrassment for the Qing Dynasty and their Manchu rulers. The Chinese army was sent retreating , core Chinese territory was penetrated, and Beijing was close to falling. Despite having superior numbers, the navy was completely destroyed. Once again, the Northern and Southern Chinese navies failed to assist each other, but even if they had acted in a concerted effort it likely would not have helped. The Japanese fleet completely out maneuvered, outperformed, and annihilated the much larger Chinese fleet. The resulting treaty removed Korea and Taiwan from Chinese orbit and a key tributary and part of traditional China respectively, and subjected China to years of Japanese aggression. Many local Japanese leaders regularly seized territory long considered by Chinese rulers as vital to the defense of the capital and cultural cradle of their civilization. The last of the puppet states in Manchuria would eventually lead to the start of World War II.After the Sino Japanese War of 1894-1895, Germany, Russia, and Great Britain demanded additional trade concessions in ports, the rights to use railroads, and special protections for missionaries. American concessions were smaller, but still consisted of the Open Door policy that allowed American goods to flood China. In short, the Sino Japanese War revealed the impotence of the Manchus in the face of aggression from Japan. Western nations soon competed to see who could take the most advantage of China’s vulnerable state. Geographically, these defeats centered on the three geographic territories listed above: core Chinese territory, traditional tributary states like Vietnam and Korea, and approaches from the sea near the ports seized. It wasn’t until 1949 that China was unified, and it is no surprise that their primary concern since that time has been to secure their core territories, protect bordering states that were historically tributary clients, readjust their borders in favor of Chinese interest, and to aggressively protect its seaward approaches. In 1950, when many analysts believed China needed years of recovery, Mao launched an attack on American forces in Korea nearing the Chinese border. A few years later they seized several islands controlled by Taiwan and Mao signaled his intention to take the rest of their territory. Only the timely intervention of American forces prevented that action. Chinese wanted to address the unequal treaties regarding Indian territory in 1962 and Outer Mongolian territory in the Ussuri River Skirmish with Soviet Union (1969). After a war with Vietnam in 1979, China had settled its control over core territories (except Taiwan) and states that were former tributes. The final key remains the approaches to China which leads to today’s flashpoints in the South and East China Sea where China is placing military facilities, landing strips, and various missile batteries on contested islands,or building islands on which to place these capabilities. When placed in this historical context Chinese behavior is and goals are easier to understand. The seizure of territory in all three of the traditional areas, adjusting borders and the removal of foreign troops from those territories, such as the Americans in Korea or Soviets in Vietnam, all can be seen as action which sought to protect China’s core. Yet the Chinese were not forced into preemptive wars with almost every one of their neighbors. The traditional narrative of a China that is set upon by greedy Westerners leaves out important details that suggest China’s offensives were optional. It is true that MacArthur was approaching the Yalu River bordering Chinese territory, but the Chinese had strong defensive positions against a potential enemy that was at the end of its logistical limits and an avowed goal to stop at the Yalu river when China launched their attack in the Korean war. There was no immediate threat to Chinese territory and China was still recovering from its long internal civil war. The territory they seized from India was a rather small, and the Indians already had their own share of South Asian problems. The Chinese could have used diplomacy with both India and Pakistan to leverage what they wanted without a preemptive strike. At the time of Ussuri River Skirmish, China was nominally an ally of the Soviet Union, and had a 1950 treaty of friendship that recognized the pivotal nature of Mongolian territory to Chinese security. After many years of heavy investment in their military, and especially their naval forces, China currently possesses significant coastal defenses, increasingly advanced missiles, ships, and bombers; there is a good argument that there is no need to militarize the South China Sea. In short, even though there is strong historical precedent for China to be wary of the West and want to aggressively defend its territory, the one hundred years of Chinese defeats from the Opium War to the Communist victory in the Chinese civil war is more often used as a shield to excuse or explain away overt aggression. Understanding this behavior will allow the United States to properly adopt foreign policy positions that will perhaps convince China there is no need to aggressively defend those traditionally key territories because the current measures are sufficient. For example, freedom of the seas operations reaffirm the import of international law and make it less likely that matters will be settled by force. Given the current climate in the region it's tough to believe a simple knowledge of history will ease all of the tension but the United States can understand how to react and respond in the region without aggravating historic concerns and be more likely to see through Chinese masking rhetoric. They have a reason to be cautious about Chinese capabilities and objectives, but they have the tactics and weapons systems to counter the Chinese threat. This also related to the Chinese concept of Imperial Confucianism, which ordered society based on the duties that one had to take based on their relationship. A ruler had to be a good representative of Heaven, a father a good father, a son a good son and so forth. Chinese rulers and court officials incorporated their foreign relations into the same ideas. Richard Horowitz, “Beyond the Marble Boat: The transformation of the Chinese military from 1850-1911,” in A Military History of China, David Graf, Robin Higham ed. (New York: Westview Press, 2002)153-174. Also see chapters 5 and 6 of Bruce Elleman, Modern Chinese Warfare- 1795-1989. New York: Routledge Press, 2001. For a representative example you might examine the equipment and performance of the Chinese army during the Battle of Shanghai. Harmsen, Peter. Shanghai: 1937 Stalingrad on the Yangtze. (New York: Casemate, 2015). See this for Chinese motivations in their war with Vietnam. Xiaoming Zhang, Deng Xiaoping's Long War The Military Conflict between China and Vietnam, 1979-1991 ( New York: UNC Press, 2016). The Ohio class submarine can carry as many as 154 land attack missiles. The other ships in a carrier group have multiple functions, and hence carry a smaller amount of different kinds of missiles.